Gaming…Competitive gaming aka Esports is growing in popularity and as that market grows so will the demand for gaming chairs. Gaming chairs are chairs that are designed for comfort because when your trying to clock in your 3 plus hours of game time in Fortnite, Destiny, Call of Duty, Dota 2 , Halo 5, etc. You want make sure that your rump back and neck don’t start to ache. So investing in a gaming chair especially if you play competitively is a good idea and it doesn’t matter if you play console or PC. Most gamers that buy these chairs tend to have the means to do so which is a big plus for our subject Secretlabs. But Secretlabs which produces gaming chairs such as Omega , Titan and Throne gaming chairs is not fully taking advantage of one of the most profitable revenue channels…Email marketing. I should know because I have my heart set on getting a Titan Gaming Chair and have been watching it closely. I have yet to receive an email from Secretlabs even though have been a subscriber to their email list. I had to really search to see if they had an email sign up form. If one such as myself is going through all of that to sign up for emails to market their gaming chairs especially the Titan gaming chair. It is a good guess that I’m probably extremely interested in buying from them. Now at the time that I signed up. The Titan gaming chair was not available so I figured. That has yet to happen. Even if for some reason they decided to discontinue making that serie of gaming chairs they could have marketed the other chairs they had available. 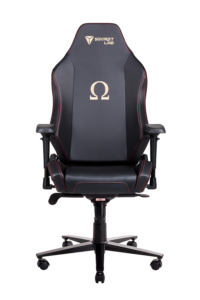 As it is I like the look of the new Omega gaming chair and wouldn’t mind having one of those. Secretlabs isn’t showing any interest in my purchase so I forget to check them out. Which for them means they don’t get the sales and are probably losing out on sales because of their lack of email marketing. Now I know that Secretlabs has some PPC ads running via Facebook and Google but if you already have very interested prospects on your email list then why not use it? But let’s run a little number example here. Keep in mind I do not know Secretlabs actual numbers but I want to show you what they are potentially missing out on. Secretlab gets about 20K in organic traffic last month August 2018 according to Ahrefs. That’s a lot of people interested in gaming chairs and remember Esports and Gaming it’s growing. Secretlab’s email signup form is hard to find so we can safely assume very few people are signing up on their email list. So let’s say out of that 20K in organic traffic only 1% signup on their email list. That would be 200 prospects for signed up in August 2018. Now since Secretlab is currently doing a Labor Day on their gaming chairs let’s see how much they would be leaving on the table with just this new group of 200 subscribers. Let’s say that these new subscribers were sent the Labor day sales emails…and 5% made a purchase. That’s being conservative but let’s look at another example in which I am assuming the list size of Secretlab email list. Let’s say Secretlab’s email list has 10,000 subscribers and assume that 5% make a purchase during this special Labor day sale announced in 1 to 2 emails. 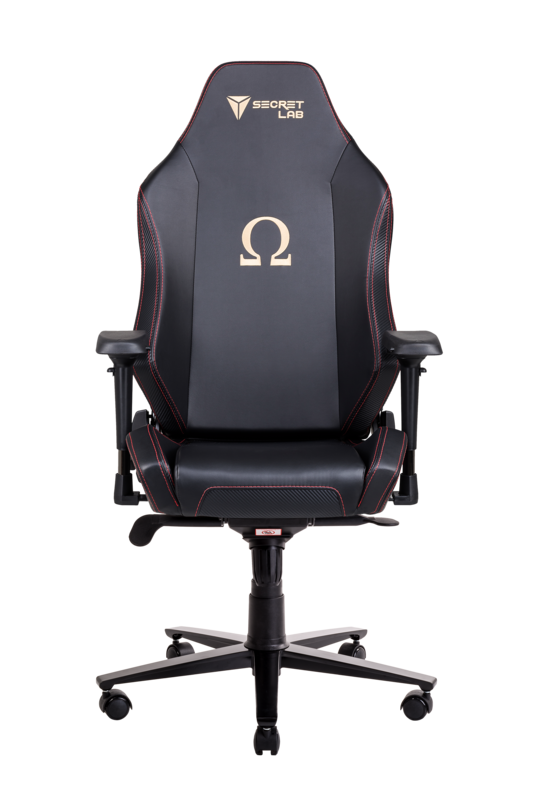 200 customers * $319 Omega 2018 Gaming Chair = $63,800 in sales from an email. Of course I’m making a lot of assumptions here with the size of their email list which I don’t know. The email copy that will need to effective know how to sell to their list and the percentage buying but in my experience. Gamers tend to be hyper buyers. Anything to make our game time more comfortable and enjoyable. We will spend the money especially since Secretlab makes some really nice chairs. In my assessment I think Secretlab is leaving a lot of money on the table by not attempt to use a email marketing strategy that geared toward conversion. By making it harder to sign up for their emails it means they will grow their email list organically a slower rate. Plus they are missing out on growing an highly profitable asset that they could leverage in other ways such as joint venture promotions. Also by not send emails on a regular basis to the list that they have now they are missing out on some sales which if they don’t act could very well turn into if it hasn’t already millions of dollars in revenue left on the table or should I say pockets of gamers like me. However there is a simple solution to all of this. They could send me an email asking to chat about this and how they could set up a profitable email marketing campaign that will boost their revenue. I do have some other suggestions that could lead to some big wins for the gamers like me waiting on that email and also to Secretlab. All they have to do is send me note at lauren@storybrandstrategist.com. But hey I’m just a Marketing nerd who plays video games and loves to be comfortable while doing it. So if you like to see how you can grab those missing sales by turning your email list into a profitable asset then you too can send me a message at lauren@storybrandstrategist.com. Power to the Marketing Gamers.